Every year I grow Cosmos from seed. It’s hard to believe that something so tall and beautiful can be produced in just a few weeks. Like many annual flowers Cosmos are good for bees and butterflies because they have lovely open flowers… it’s easy for them to feed. 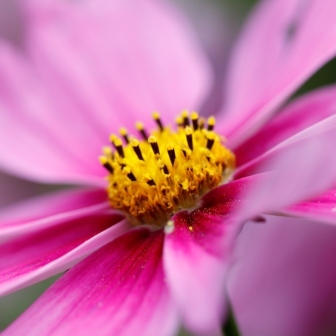 The great thing about Cosmos is that they are really easy to grow. What’s more they flower right up until the first frosts in autumn. Just keep removing the dead flower heads to prevent your plants setting seed. I grow the tall Cosmos which easily reach 1 metre (3 – 4 feet) in height in 10 -12 weeks. I love Cosmos bipinnatus ‘Purity’ which is white and ‘Dazzler’ which is pink. If you prefer shorter plants then you could try Cosmos ‘Sonata’ which grows to about 60cm / two feet tall.